We live in a fast paced, noisy world. Some of that noise is really negative and discouraging. Whenever I catch the news, it’s a reminder about why I often skip the news! Social media is both a blessing and a curse. Workplace break room rants can send the day on a downward spiral from the start! So, how do you distance yourself from all of the negative noise? You surround yourself with positive! Below are some simple ways to keep your day positive. 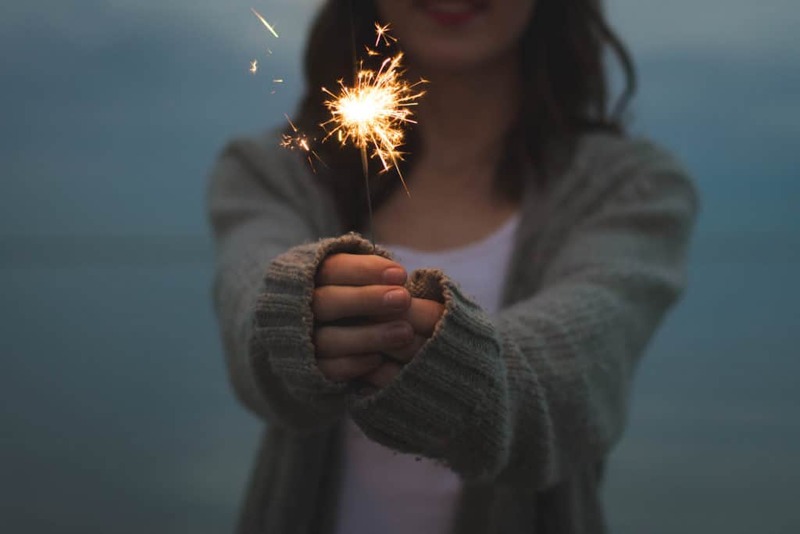 These things may seem really small or too simple but when they’re combined, they add up to harness the power of positivity. That’s something everyone needs more of in the day to day hustle! It can make the difference in your health, productivity and overall outlook on life! These come with all kinds of inspirational quotes and messages about staying positive. Every time I put a drink in the holder, I see the phrase “It is well with my soul.” That’s a reminder to ask myself if things are really well and, if not, what’s in my control to change and make it better. It’s free to “virtually meet” some of the most positive people and hear some of the most inspiring stories on your daily commute. Depending on what your interests are, chances are there is a podcast out there with a great host. If you’re not sure where to start, here’s a great list to check out from Lifehack. I subscribe to the first one… Lewis Howes is great! We spend a lot of time in our cars so it’s a great place to set yourself up for a positive day! What’s your favorite positive quote or scripture? Print it out, put it in a frame, and put it somewhere you can see it every day. Make it the first place you look when negativity comes your way. It’s amazing how a quote or scripture reference can instantly put things in perspective! In addition to a picture of my family, my favorite desk item is a brochure sized copy of the constitution. It makes me think of the hard work and dedication and impact just a small group of people can have in our world. It reminds me to be grateful. What’s a momento you could put in your work area that helps you keep a positive outlook? Put a positive message on your screensaver! You’ll see this start spreading through your workplace because it’s a simple way to promote positivity! Whether or not you’re in a position of leadership at your workplace, being a source of encouragement and positivity makes the day so much more meaningful! How does that fit here? Clutter is a friend of negative! It makes us feel like we can’t keep up. Besides, when we move stuff out the door and donate it, we clear out clutter and we’re helping out someone else for a win-win situation! 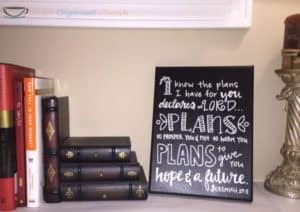 Besides pictures of family, I love a few simple decor pieces that promote positivity in our home. One way to do this on a budget is to make a simple print out of your favorite quote or verse and frame it. When I see my favorite scriptures, I’m reminded of God’s promises for problems. It helps me claim positive changes in my finances, protection over my marriage, healing, and strength. Make time for music! Most of the music around here lately is kid’s songs since we have a young child, but even preschool tunes can put a positive spin on the day. A 2013 research study in the Journal of Positive Psychology found that people could improve their moods and boost their happiness in just two weeks from listening to upbeat music. I believe it! Open the blinds and let some sunshine in! Bring the outdoors inside with some sunshine and plants. I’ve always suspected that so many moods tend to be more negative (guilty here) in the cold winter months when it gets dark early and people are not getting outdoors as much. Obviously, a pet is a huge responsibility and should be a decision that involves the whole family. But I am a big advocate of pet therapy for the simple reason that it’s hard to resist a smile with a cuddly ball of fur in your lap! 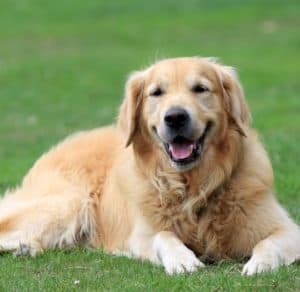 We’re big fans of the Golden Retriever because of their happy outlook and I can’t imagine us ever not having a Golden as part of our family. Our homes are where we spend the majority of our time and they should be a place where we put priority on setting ourselves up for positive! What do you do to keep your day positive? I’d love to hear!